Whether you want to bulk up, get ribbed or lose a few pounds, there’s certainly a protein powder you can turn to. But if you’ve ever used protein shakes before, chances are that you have an idea how important good taste is. Therefore, it’s advisable to find the best tasting protein powder – depending on what your taste buds crave for. With the sheer variety of products available on the market, though, deciding which one to settle for might prove a daunting task. So, which powder is really the best? Stick around as we walk you through some easy-to-mix delicious protein powders. Ranked as one of the most popular protein powders on the market, Optimum Nutrition Gold Standard Whey Protein Isolate stands out with its excellent packaging and brand presence. Not only is it a best-seller on Amazon but also, it is third-party tested, affordable and good tasting. 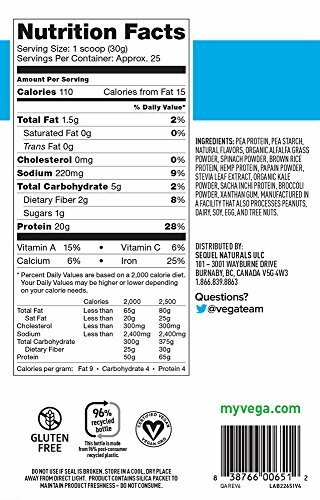 A single rounded scoop of this product delivers an incredible 24 grams worth of protein, 1 gram sugar, 3 grams of carbs and 1 gram of fat. Some of its key ingredients include whey protein isolates, whey protein concentrate, whey peptides, lactase, aminogen, lecithin and acesulfame potassium. Also, in order to introduce a unique flavor, additional ingredients such as cocoa, banana flavoring, cake butter, strawberry flavor, vanilla and so forth are included. In total, there are 24 flavors with the Double Rich Chocolate being the most popular variant available. One of the main reasons why this protein powder remains popular is that it is incredibly mixable. Indeed, it blends excellently with milk and water – all thanks to the presence of lecithin in its list of ingredients. You only need to shake it up inside protein powder shaker bottle or simply stir it up using a spoon. Indeed, it dissolves smoothly into the fluid provided you stir fast. Well, as we’ve already hinted, this product is available in different flavors. If you’re looking for something normal-tasting then we’d heavily recommend trying the Double Rich Chocolate variant, though. However, if you’re looking for something extreme then the Chocolate Mint and Extreme Milk Chocolate would offer superb options. This is a no-frills protein powder that you can count on to sustain an intensive workout life. It’s reasonably priced, tasty, and safe. Most importantly, the company provides free shipping services for all orders valued at above $25. And don’t get us started on the thousands of positive reviews this product has received so far on Amazon. 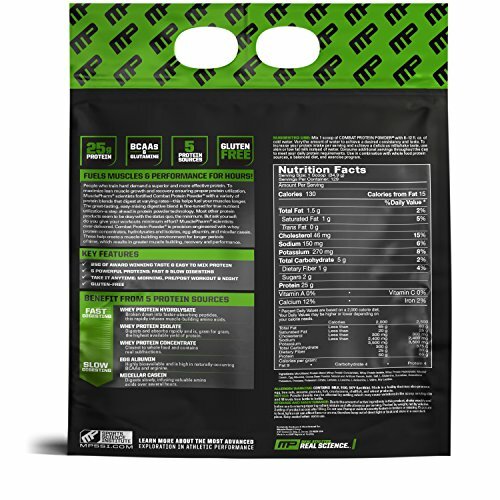 Also known as a sustained release protein supplement, this Bio-Engineered Supplement and Nutrition (BSN) gets high marks for its incredible flavor. 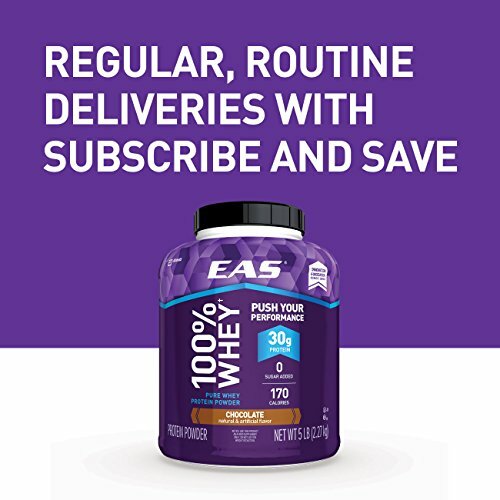 With each of its serving containing a decent 22g of protein, this formulation offers a perfect start for anyone who may be on a mission to transform their health and fitness routine. 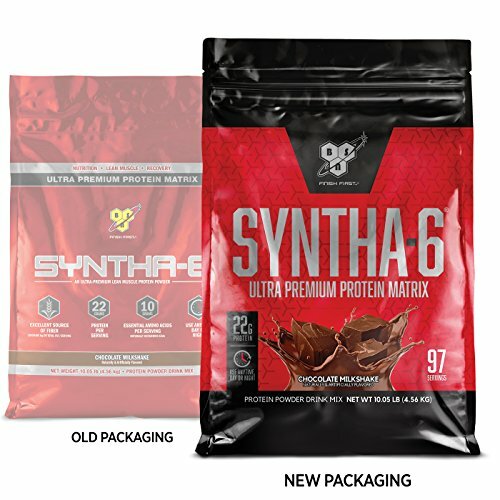 Besides being a rich source of protein, Syntha-6 is a nutritious product as well as it contains a high-fiber formula that is loaded with fatty acids and amino acids alike. Its list of ingredient comprises huge percentages of whey protein concentrate, whey protein isolate, micellar casein, calcium caseinate, egg albumin, milk protein isolate, sunflower creamer, cookie crumbles, soy lecithin among others. 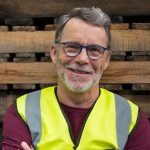 So, one of the major selling points of this product is that it contains a rich supply of natural ingredients needed to sustain a healthy and productive life. 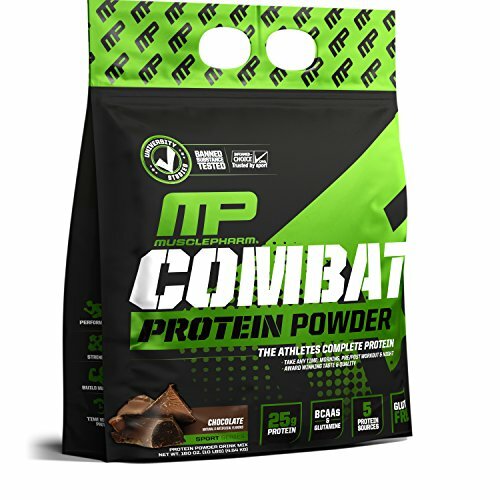 The protein mix is available in 10 different flavors ranging from chocolate milkshake, vanilla ice cream, strawberry milkshake, vanilla marshmallow, cookies & cream, mocha, chocolate peanut, Banana, Chocolate Cake Batter and Creatine Unflavored. If you’re out there trying to gain muscles but always struggle to keep up with the steep workout routine, this one is for you. 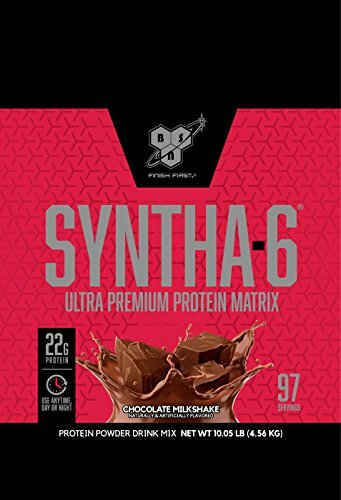 Its list of flavors is also quite remarkable and so if you’re looking for something delicious, you’ve definitely got to give Syntha-6 a try. One way to ace your workouts is to ensure that you actually feed the muscles. So are you really feeding your muscles? As it turns out, most of the fitness products available on the market don’t deliver adequate quantities of proteins to your muscle fibers. And if they do, they don’t sustain the supply for long enough, meaning your body doesn’t get an opportunity to fully utilize the protein supply. MusclePharm Combat is designed to overcome this exact challenge. 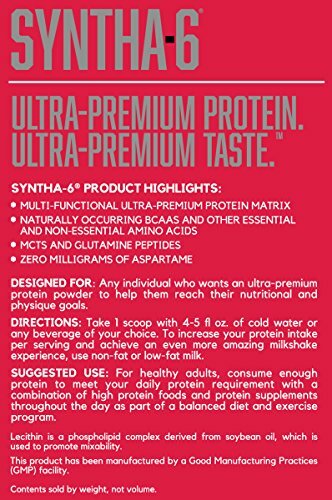 Its ingredient list comprises 5 slow digesting protein compounds among them microfiltered protein blend, protein hydrolysate, micellar casein and egg albumin. But as you know, proteins alone may not have the desired taste for everyday consumption and so, this compound packs up some artificial flavorings as well. These include; cocoa bean powder, cookies & cream, vanilla, strawberry and so forth. 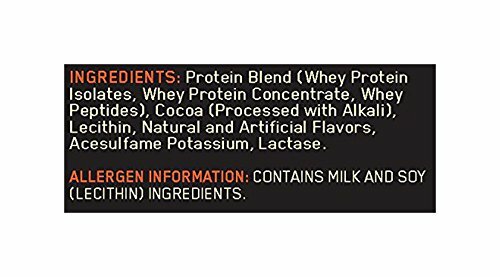 Just like the other two organic protein powder product reviewed above, this one comes with a healthy supply of Soy Lecithin for enhanced mixability. Ever wondered if you could find a protein powder that doesn’t cause gas and is safe for your general health at the same time? 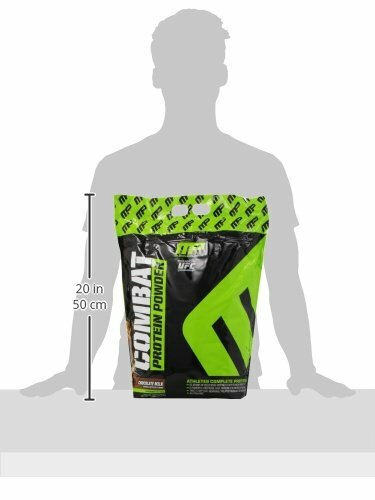 Then it’s high time you consider adding Combat from Muscle Pharm to your wish list. Orgain is one of those companies that mainly focus on the production of shakes and protein bars. 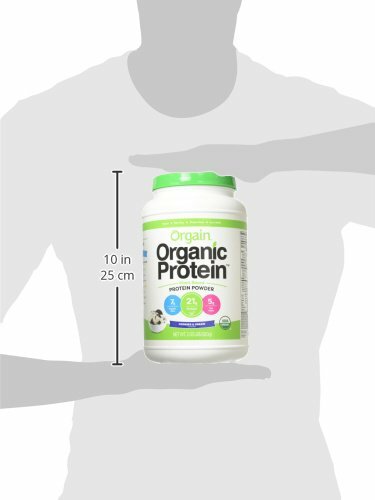 Their organic protein powder is without a doubt safe and particularly effective for vegans. Each of the ingredients used for this product is organic. First off, the package comprises chia seeds, hemp, brown rice and peas as the key ingredients. As you can see, all those are plant-based sources of protein. But as you would expect these sources of protein may not always be sweet and tasty and for that reason, this manufacturer had gone ahead an introduced a “creamer base” containing inulin fiber, acacia gum, rice bran extract, dextrins, rosemary extract and rice. Nice shake for a nice post-workout relax in an inflatable hot tub. So, you end up with a delicious powder that’s also rich in fiber and, therefore, good for your digestive health. Maybe you’re wondering if this plant-based product can rival others on the market. 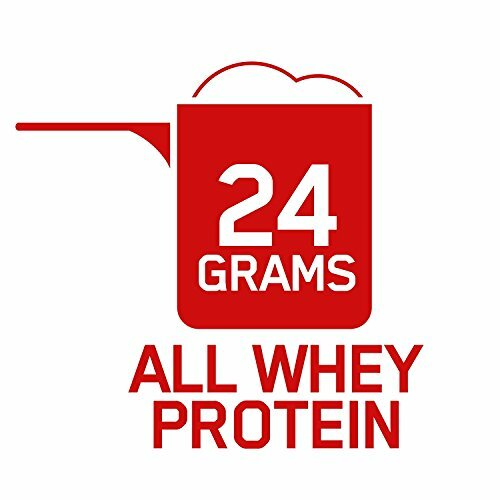 Well, given the fact that Optimum Nutrition Gold contains 24 grams of protein per scoop, it’s interesting to note that Orgain comes with 21 grams per serving which is quite high for a plant-based protein! Are you picky about your protein powder? Orgain Organic Protein powder might just be the product you need to improve your muscle growth without compromising on your long-term well-being. Go for a protein powder that suits your unique needs e.g. if vegan go for a vegan protein powder or if allergic to dairy products consider trying protein hydrolysate. 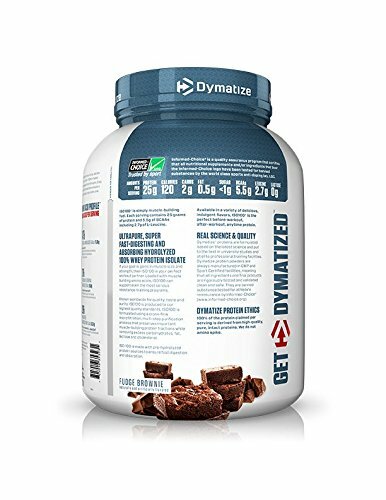 Not only is Dymatize a big name in the world of supplement production but of late they’ve ventured into glutamine, creatine, and mass gainers production. Indeed, we can confirm that this company has built a great reputation especially owing to the fact that all their products are third-party tested. For instance, the ISO 100 protein powder has been tested by Labdoor and certified to be of excellent quality. Also worth noting is that this is hydrolyzed whey which as you might be aware is a form of whey isolate. 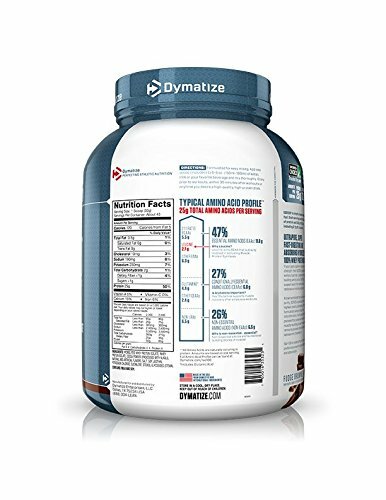 Dymatize protein isolate has a great reputation of being low in calories and lenient in fat composition and that’s because it’s usually run through multiple enzymes which break it down forming an easy-to-assimilate form of amino acids. That basically means that it’s pretty easy for your body to reap the benefits of this powder even though it lacks crucial digestive enzymes. As such, you can bank on it either as a pre-workout or post-workout product especially if you don’t have a bad history of stomach issues or if you’re looking for the best protein powder for women. 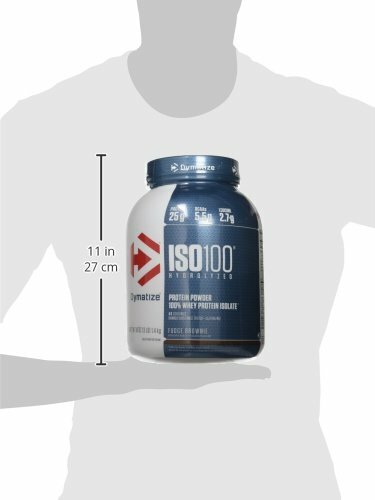 If you’re looking for a top-quality protein powder that is easy on your digestive system and effective at the same time, Dymatize ISO 100 would be your best pick. That said, we would like to note that despite it coming with Protein Isolate ingredients, it lacks crucial digestive enzymes and may cause stomach if an excess dosage is taken. 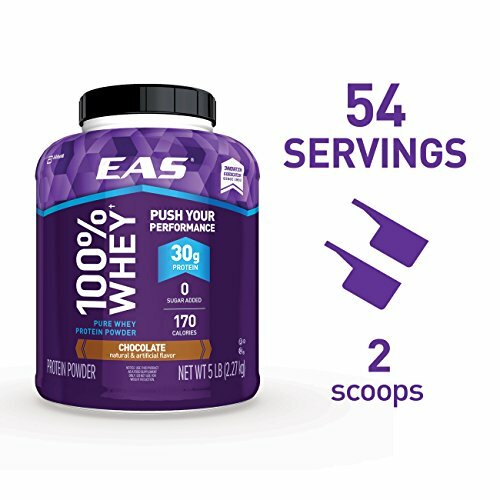 One unique feature of the EAS whey protein powder is that it claims to contain a generous supply of protein per serving. 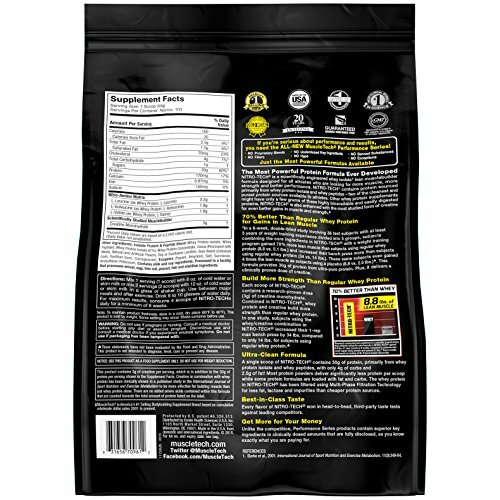 In fact, while the likes of Optimum Nutrition Gold and BSN Syntha 6 contain less than 25 grams of protein per serving, this one contains 30 grams per serving. This is despite the fact that it’s cheaper than any of the leading brands we’ve mentioned. So, what exactly makes this product so unbelievably good? Well, first off we’d like to mention that the manufacturer of this product has introduced a really large serving at 43 grams. So instead of the usual one scoop, you’ll have to use 2 scoops. The downside to this is that you end up ingesting more calories per serving. We’d, therefore, recommend this product for anyone who might be looking for ways to bulk up. On the other hand, we’d discourage anyone who is on a strict diet from taking it. 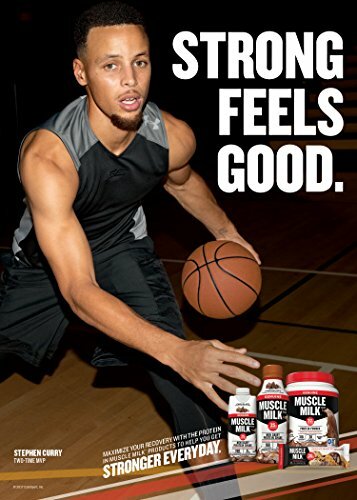 Muscle is a renowned brand in the production of protein powders and the thousands of reviews it has amassed online so far testifies to that. But is it worth all the hype? Well, as it turns out, this healthy protein source contains slow-digesting micellar caseins obtained from protein isolate and concentrate. Ask any protein powder expert and they’ll confirm to you that “less is more” when it comes to protein sources in a product. That said, we’re delighted to note that this package exclusively relies on two sources of protein and that these two sources are of high quality. To top it up, the Muscle Milk Protein Powder contains branched chain amino acids (BCAA) which are essential in reducing muscle recovery time. 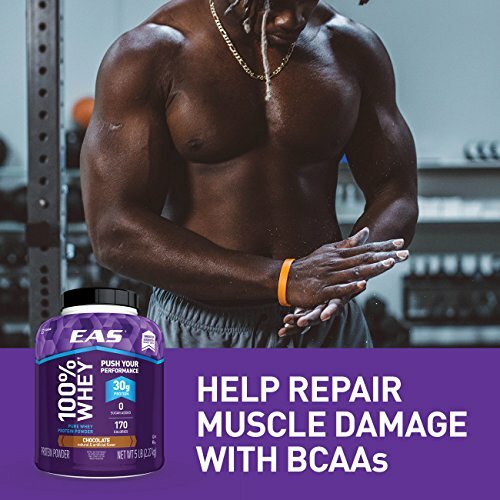 Adding BCAA is quite important as it boosts the amino acid absorption rates thereby providing your muscles with the power they need to explode. With a moderate supply of 16 grams per serving, this powder would be recommended for anyone who doesn’t mind taking in more calories. This is particularly important because if you’re on a quest to get more muscles, you’ll definitely need to take two scoops equaling 300 calories. Be sure to drink a lot of water in order to enhance protein digestion and uptake. 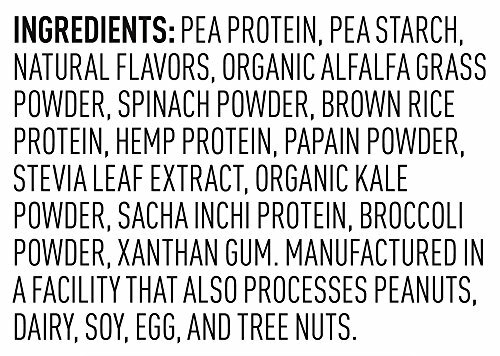 If you’ve been wondering where to find a healthy protein powder, this plant-based product might just be the rich options to give a shot. 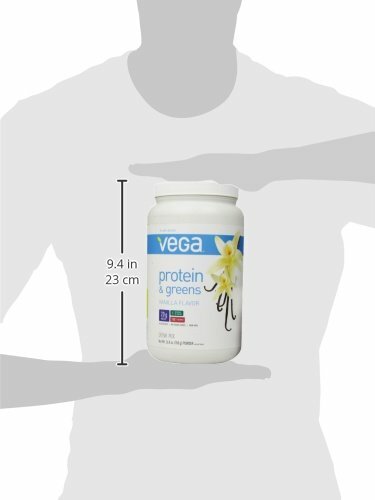 Basically, Vega Protein and Greens tries to help reduce meat and milk consumption. If you are concerned about your wellbeing and would like to keep it clean by leveraging on natural and safe ingredients then this product might be the game-changer you need. 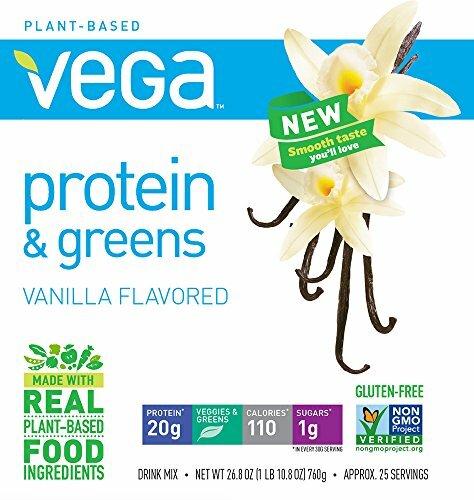 But what is Vega Protein and Greens protein powder all about? Well, first off, this product works by utilizing real food sources. This makes it a tad different from other protein powders that tend to load up on artificial ingredients and sweeteners. While a high BCAA count is integral to post-workout recovery, this particular product seems to substitute BCAAs for veggie nutrition. This is perfectly fine especially for folks who’d like to get essential nutrients and maintain a healthy supply of proteins at the same time. A single scoop of this powder presents you with a respectable 20 grams of protein. 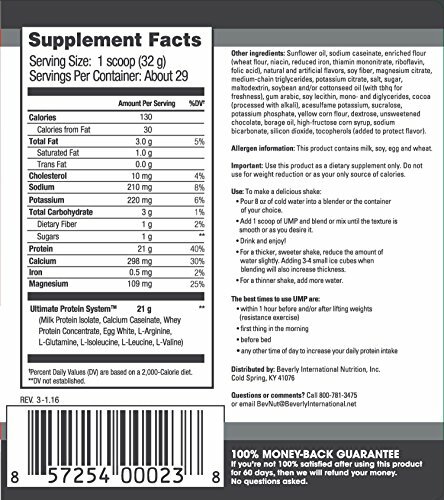 To make the deal even sweeter, each scoop contains a paltry 110 calories meaning you can enjoy taking this powder without worrying about compromising on your dietary provisions. 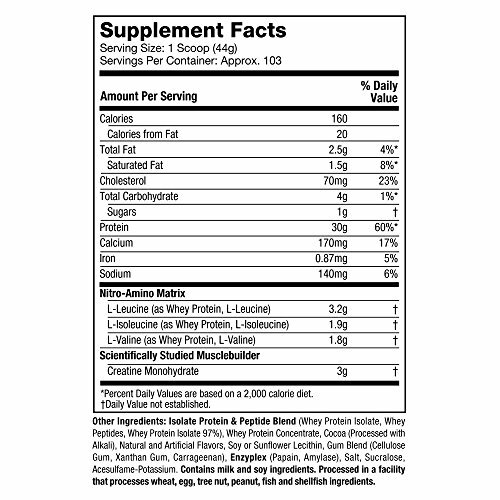 How badly would you like to try a protein powder that keeps up with the ideals of the days before the bodybuilding niche was flooded with artificial stuff? 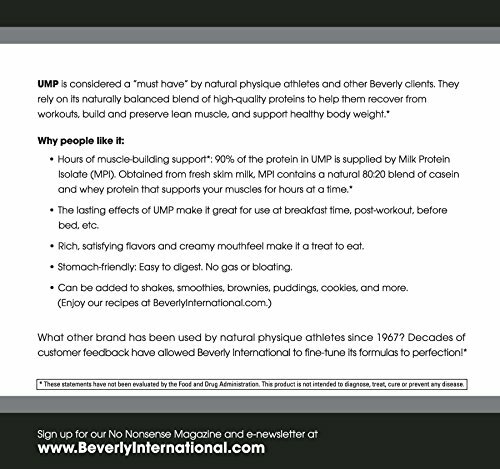 This UMP protein powder combines a high-quality protein isolate and casein. On top of that, you also get a healthy supply of medium-chain triglycerides, magnesium, and calcium to boost your overall health even further. The end product is a shake that’s thick in texture, smooth and rich in nutrients. All you need to do is mix it using a blender and add 3 to 4 ice cubes per serving in order to increase the thickness. Of course, they could have made this supplement much better by improving its mixability but that’s the price you pay for picking a rather conservative protein shake. Note that this unique supplement mainly comprises of milk protein and may not be ideal for vegans. 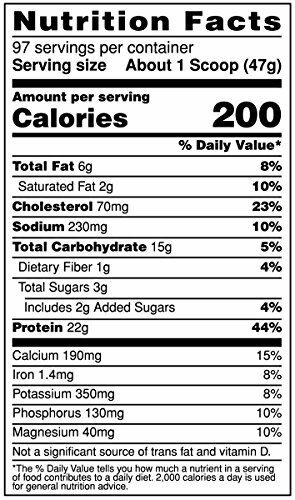 That said, each serving of it provides you with 20 grams of protein which is just enough to keep your muscles going. It would have been better for the brand to increase the protein percentage to 23 grams and above, though, to maximize its benefits. Go for slower-digesting powders e.g. casein if looking to lose weight. 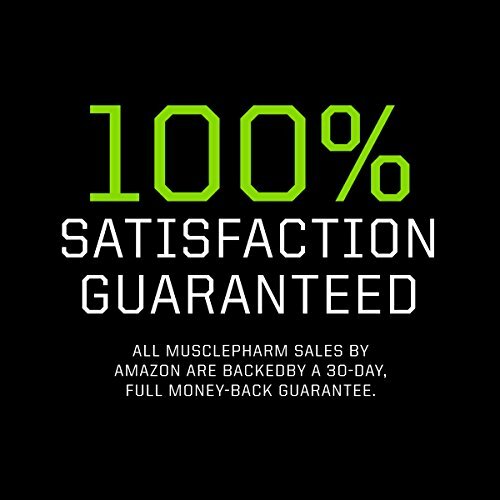 Since 1995, MuscleTech has stood out as a well-respected nutritional company which is always keen on investing in research and product development. Indeed, one of their most successful brands, Nitro-Tech, is designed with perfection in mind. Struggling to get the most out of your efforts in the gym? This product presents you with a well-thought-out combination of protein isolate and peptides effectively maximizing your muscle gain capacity. 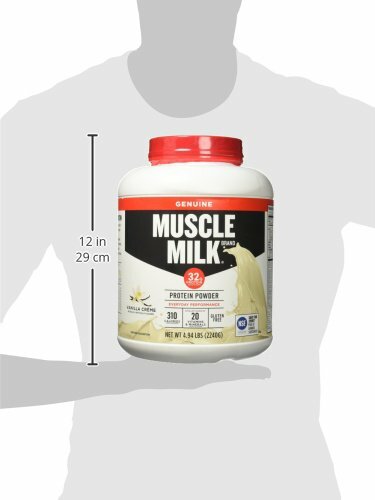 On previous occasions, the company has reported that this product has helped individuals achieve an average growth of 8.8 pounds of lean muscle as opposed to 5.1 pounds gained by individuals who took whey protein alone. It’d, therefore, be safe to conclude that Nitro-Tech is designed to give you a competitive advantage in the weight room. This sounds like something you’d definitely want to give a shot. 12 flavors available: chocolate mint, cookies & cream, cinnamon swirl, banana bliss, lucky marshmallow, decadent brownie cheesecake, mocha cappuccino swirl, vanilla birthday cake, toasted s’mores, strawberry, milk chocolate, and vanilla. A combination of creatine and protein is one that can be relied upon to fast-track muscle growth. So, if you’ve been taking whey-only products with little success, Nitro-Tech might be the tool you need to start seeing quick results. Why Do You Need Protein Powder? Gone are the days when going to the gym used to be enough to get things done. If you’re looking for the best possible results, it’s high time you give protein powders a shot (if you’ve not done that already). But then, why do experts strongly vouch for using these products? Why do you need to cough out tens of dollars for a purchase? Well, as it turns out, there are quite a few reasons why you need to be taking your protein shake more seriously. The modern-day extremely busy lifestyle often means that we don’t find enough time to get the right nutrients through the daily diet. Picture this, you get up early in the morning, grab a cup of coffee and within minutes you’re sitting on the traffic on your way to work. Lunchtime often finds you busy in the middle of meetings and dinner arrives when you’re extremely tired. Protein powders are a quick way to ensure you meet your daily recommended protein, carbohydrate and vitamins/minerals ration. This is extremely important for a healthy and fit lifestyle. Do you often suffer from sore muscles and painful joints after working out? This often happens when you have a thin post-workout window to put up with. So how do you ensure you keep up with a demanding workout schedule without compromising on your health? Of course, the answer is protein powder. Designed to fast-track the recovery of muscle fibers, these products boost your resilience and productivity as well. So, don’t settle for less. The truth of the matter is that sometimes all it takes to excel is a little bit of supplementation. There are quite a few factors to consider when shopping for a protein powder. The ultimate factor to consider is whether protein actually helps you meet your personal health goals. The higher the protein content per serving, the stronger a protein powder is. On average, the best products come with 24 to 25 grams of protein per scoop. Note that, there are some products which come with lesser protein content but require you to take two scoops. So, if one scoop has 16 grams of protein, then two scoops supply you with 32 grams of protein. The drawback, in this case, is that you’d have to deal with excess calories in your shake. As we’ve already noted, flavor is a key factor to consider. So, whether you’re shopping for an organic protein powder or protein powder with collagen, be sure to mull over the possibility of finding a tantalizing flavor. If you love chocolates, for instance, it would be a good idea to go for a chocolate flavored powder and likewise, if strawberries are your thing, a strawberry flavored shake would be your best bet. 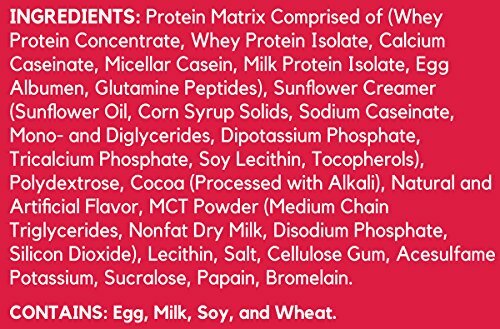 Each protein powder variant comes with its unique taste depending on the types of ingredients included in it. To give you a rough idea of what to expect, here are 6 highly popular tastes you’re likely (or have already) come across. Vanilla is obtained from a plant of the orchid family which goes by the same name. The vanilla taste is known for its harsh and biting aroma which is super tasty and fulfilling. Chocolate flavor tends to be thick, creamy and rich with a strong hint of flavor. Besides having a thick and smooth texture, this flavor has a distant nutty taste although that may vary depending on how you mix your shake. With a flavor that falls between a vanilla ice cream and chocolate one, cookies and crème flavored protein shakes tend to be light and crispy. If you’re looking for a rich and dynamic taste, your taste buds will thank you for going for this. Renowned for being sweet with a slight vegetal hint of pepper, banana flavor is ideal for anyone with a sweet tooth. The strawberry flavor is sweet with a distant touch of acidity and an awe-inspiring fragrance. This fruity flavor makes your protein shake tangy and well-matured. Greasy and slightly lumpy are the two adjectives that best describe the peanut butter flavor. One unique attribute of this flavor is that it tends to stay in your breath for long hours leaving behind a smooth feel. From the surface, protein supplements may seem like they’re all about boosting protein levels in the body. A closer look, however, reveals quite a batch of facts. A low protein diet requires you to restrict your carbohydrate intake to under 20% of the calories you take. If you’re on this kind of diet restriction, low carb protein powder can help you attain your fitness goals whilst helping you meet your daily recommended caloric intake. It’s a fact that protein powders can play a huge role in improving your protein supply and, therefore, promote muscle growth and fast recovery. Unfortunately, though, some brands come with excess calories which makes them a no-no for weight loss. Our general recommendation for protein powder in regards to anyone looking to lose weight is that you should go for a product that provides less than 150 per serving of 20 to 25 grams of protein. A skinny body should not hinder you from attaining your desired physical looks. All you need to do is find a protein powder with a high caloric content (200 calories per serving and above) and rich in fiber too. Drinking too much sugar increases your chances of developing type 2 diabetes. Because high sugar levels tend to lead to the development of high insulin resistance thereby increasing the levels of bad cholesterol and endangering your life. For this reason, experts are increasingly vouching for no sugar protein powders as a preferable method of getting fit without incurring the consequences of high sugar intake. Whether lactose-intolerant or a vegan, avoiding dairy products without compromising on the quality of your protein powder may sound like a far-fetched dream. Fortunately, you can always bank on pea, soy or even brown rice powders to get enough proteins per serving while still guaranteeing your cardiovascular wellbeing. Eliminating meat and dairy products from your diet can go a long way in protecting you against the risk of type-2 diabetes as well as heart disease in the long-run. 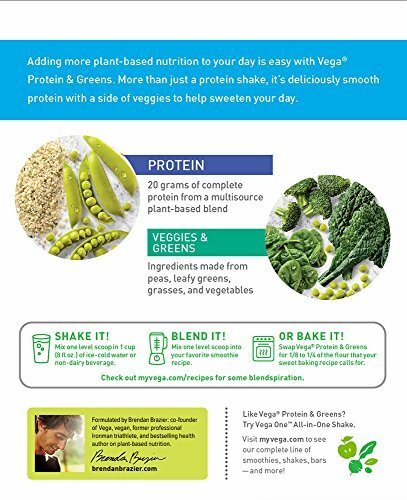 So, whether you’re a vegan or just someone who is conscious about their own health, the good news today is that you can always tap into the extremely positive benefits of plant-based protein powders which are equally powerful yet safer. Soy (Plant-Based) – Soy powder is like the plant-based version of whey protein. Indeed, soy is rich in amino acids notably glutamine and arginine which are essential for a fast growth of muscles. Hemp – The hemp seed is one of the richest plant sources of protein in the world with about 25% of its content comprising pure protein. Generally, two types of proteins are found in this powder variety and they are albumin and edestin. But wait – there’s more. Hemp powder is easily digestible yet rich in arginine amino acids. Protein powders are produced in powder form because they have to be mixed with milk or water for easy consumption. Small qualms with some of these products are that they tend to be difficult to mix and that’s something that makes them hectic to prepare and sip on. Let me let you in on a few secrets as far as this topic goes. Protein powder with water mixtures are quite popular in today’s gyms. Normally, protein isolates tend to mix better than any other forms of protein although manufacturers can enhance mixability by adding soy lecithin. Milk is a perfect solvent for protein powder especially if your preferred product is lower on protein content. 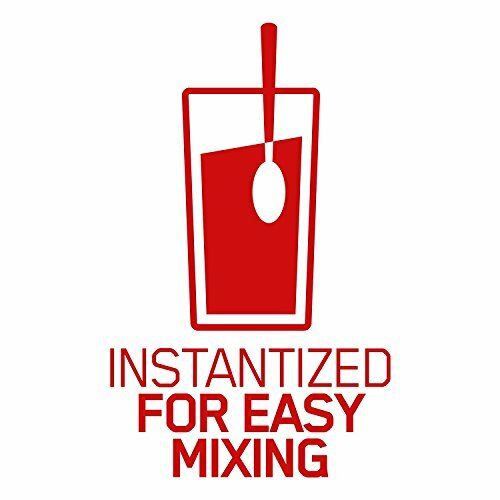 However, mixability can be an issue, especially for soy-free formulas. Mixing juice with protein powder is recommended when one wants to keep off artificial sweeteners and flavors. A quick note, though, if you want to get the most out of this combination, you may want to juice more greens e.g. romaine lettuce and spinach as they’re rich sources of protein. Plant milk is a suitable substitute for dairy milk and can be a superb choice for individuals allergic to cow milk. Having said that, you may need to stir or blend plant milk with protein powder for a minute or two to create a homogenous mixture. Here is the list of the most popular brands: Vega, MuscleTech, Dymatize, Muscle Milk, Optimum Nutrition, Cellucor. Protein isolate powder contains more proteins per serving, is easily digestible and typically lower in fat than ordinary protein powder. That said, isolates tend to be more expensive than due to the additional manufacturing steps involved. Ordinary protein powder is rapidly digested and that means its results tend to disappear pretty fast. Casein, on the other hand, is a slow-digesting form of protein and, therefore ideal for muscle building. Fast-digesting protein is ideal for pre and post-workout recovery while casein is ideal for long-term goals. Irrespective of the protein powder you go for, whether be it protein powder with collagen or organic powder, there are quite a few creative recipes you can explore. Here’s a simple pancake recipe that you can prepare using your favorite protein powder. Step 10: Once the pancakes are well cooked, drizzle some honey and serve! There are many ways to prepare protein shakes. However, if this is your first time trying to prepare one, here’s a simple procedure to follow. 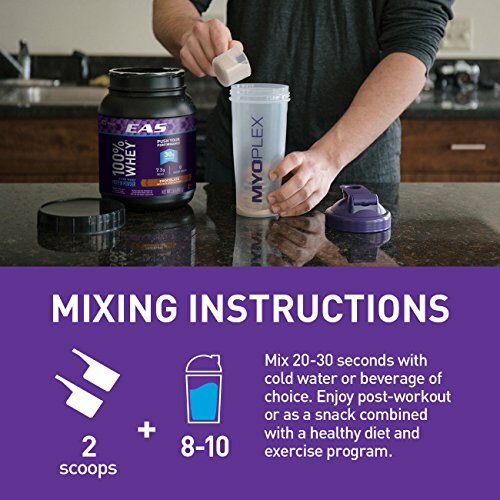 Step 3: If you’re using a bottle made for protein shakes, simply place the stationary mixer into it, twist the lid and then put the locking ring on. As simple as that and you’ll be a proud owner of a nutrition-rich shake in a few minutes. How much protein does an average person need per day? The FDA recommends a 50-gram intake of protein per day for all adults. 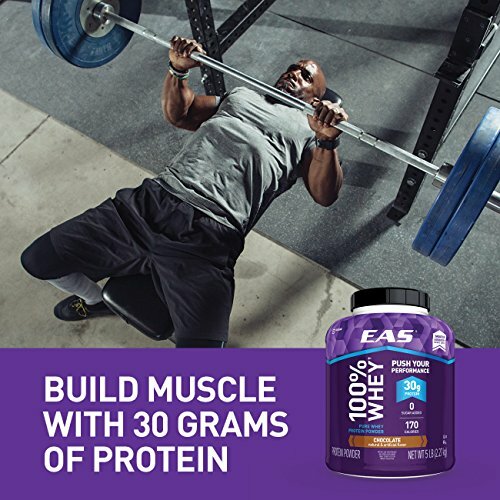 How much protein do I need to grow muscles (bodybuilding)? To determine this, multiply 1.5 gram with your current bodyweight. The answer you get is the recommended quantity. What’s the best time to take a protein shake? The best time to drink your protein shake is right after exercising. That said, the versatility of these powders is unlimited and you can take it at any time of the day. One fact we all need to appreciate is that taste, just like comedy or music is purely subjective. 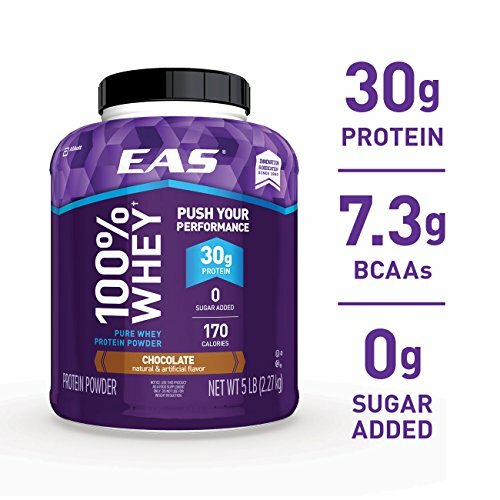 So, if you’re looking for the best tasting protein powder, it’s imperative to start by understanding your unique preferences. So, whether you’d like to satisfy your sweet tooth or grab yourself a grit-free but texture rich shake, there’s certainly something worth downing. Still not sure which one to go for? Our best pick from the list above, based on different user reviews, track-record and formulation is the Optimum Nutrition Gold Standard Whey Protein Powder. 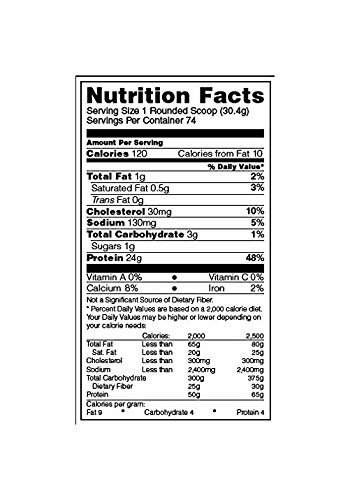 Not only does it contain high-quality ingredients but also contains a high percentage of protein per scoop. 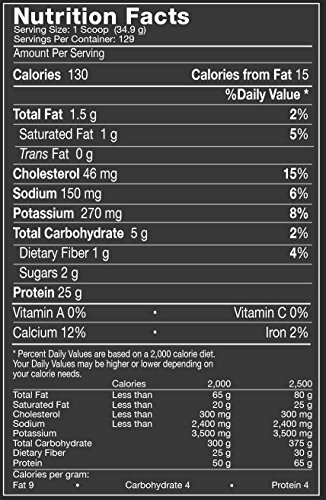 That said, all the other healthy protein powder variants discussed above are certainly worth their weight in gold. So, if you’re not the picky type, it’d be a good idea to take a close look at them as well.